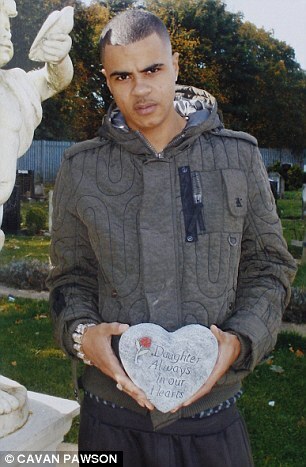 In a shocking decision jury in London have declared the shooting dead of unarmed Mark Duggan by New Scotland Yard -LEGAL. Do we have circumstances in which the state is allowed to take away life then in UK? Our legal understanding is that Death Sentence is banned in EU. Mark Duggan was shot and killed by armed police in London on 4th August 2011.Circumstances surrounding his killing sparked the “London Riots”. Initially police claimed that Duggan was armed and was about to fire at them.That claim later changed as evidence failed to prove that. Today the jury admitted that Mark Duggan was unarmed but it was ok for police to kill him. What a shocking decision considering that Mark Duggan was in a taxi. How was he posing any danger to police shall remain a mystery. Is this another case of someone suspected to pose danger to public on the basis of colour of his skin. On December 12 the lead investigator for the police watchdog inquiry into the fatal shooting tells a pre-inquest hearing that a ‘mistake’ was made in releasing information that Mr Duggan had fired at officers first. 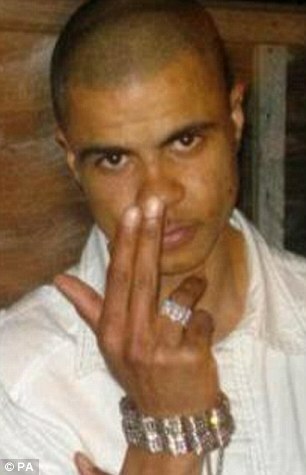 Poor Mark Duggan, he was born with a skin colour that stereotypically classified him as violent. Without condoning the fact that Mark Duggan had purchased a gun that day, how can a jury decide that it was legal for police to kill an unarmed man? 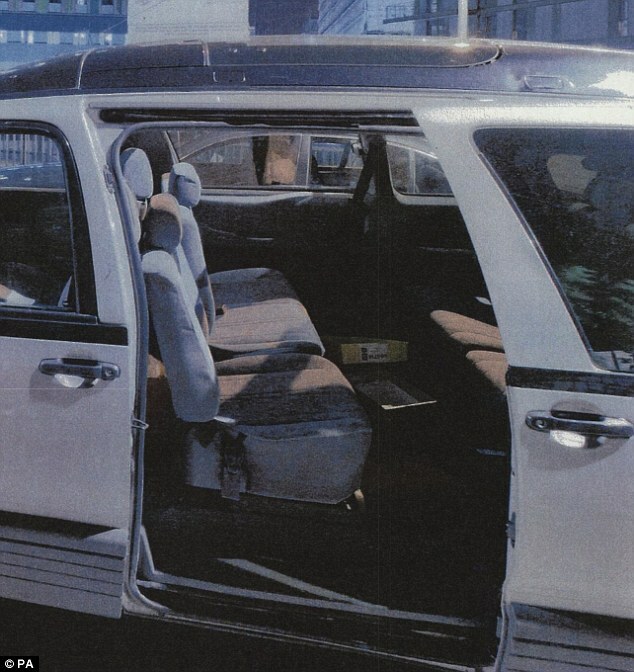 Eyewitnesses confirmed that Duggan was shot as he disembarked from the taxi with his hands raised up, surrendering. It is also appreciated that Police have difficult decisions to make in split seconds. It is the decision by the jury which is questionable. From look of things New Scotland Yard was even prepared for an “unlawful” killing verdict. 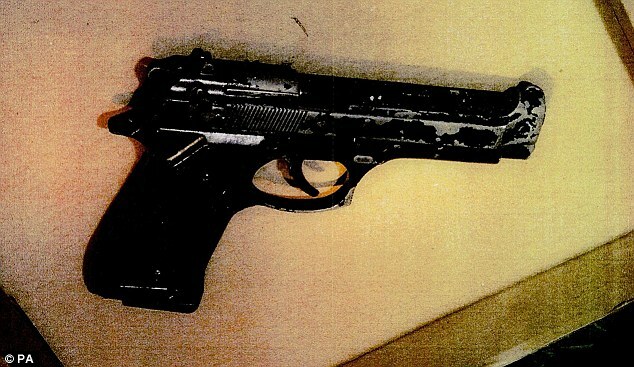 The marksman who killed Duggan confessed that he mistook Duggan’s mobile phone for a gun. What precedent does the jury’s decision make? ROB COOPER writing for http://www.dailymail.co.uk reports that Mark Duggan was unarmed when he was shot dead by a police marksman but he was lawfully killed, a jury ruled today. The fallout from the shooting of the father-of-four in Tottenham, north London, sparked mass rioting and looting across the capital. Scotland Yard have been placed on a ‘heightened state of readiness’ for fresh disorder tonight following the jury’s decision. Police officers told the inquest that they saw Duggan holding a firearm in the split second before he was shot dead. However, that was contradicted by eyewitnesses who said that he was clutching a mobile phone and appeared to be surrendering. A discarded firearm was found six metres away from the spot where the 29-year-old died in August 2011. The jury ruled that he had thrown away the firearm in the seconds before a sole police marksman opened fire. The inquest into Mr Duggan’s death began in September and, before the jurors retired last month, Judge Keith Cutler told them to reach their decisions ‘calmly and coolly on the evidence’ as he began summing up the case. He directed the panel of 10 that they may reach conclusions and findings on which at least eight of them are agreed. Judge Cutler told the jury it may reach one of three possible conclusions: that the 29-year-old was killed unlawfully, or killed lawfully, or an open conclusion. Police have been placed on a ‘heightened state of readiness’ for disorder after the verdict of the Mark Duggan inquiry was delivered today. Scotland Yard said there would be no visible increase in police numbers on the streets but reinforcements would be on hand if there was any signs of trouble on the scale seen two years ago. Speaking before the verdict was given, Assistant Commissioner Mark Rowley said: ‘We are in a heightened state of readiness. ‘We are not going to overreact, we are not going to pump hundreds of officers onto the streets of Tottenham or anywhere else. ‘But as for meetings and events following the verdict we will monitor them very carefully, we will monitor an intelligence about disorder carefully and will keep those officers out of the way but handy if we need to respond to anything.’ Thousands of police officers were deployed in cities across the country on several nights in August 2011, after rioting and looting swept the country. It came after armed police shot Duggan dead during a gun crime operation. The police said they had received no indication of organised disorder in the days before the verdict was due. However Assistant Commissioner Rowley said they were on alert for ‘trigger’ events or meetings that could spark unrest. The mother of two has lived in Tottenham, north London, for decades, including 26 years on the Broadwater Farm estate, which saw riots in the 1980s during which Pc Keith Blakelock was murdered. Mrs Duggan said she never had any bad experiences until the death of her son, and cannot understand why the marksman, known only as V53, shot him. When asked what she thinks of the Metropolitan Police, she said: ‘I think they’re bullies. What do you get out of shooting a bullet in my son twice? If he’s done something wrong, handcuff him and take him and put him in a cell. ‘I can’t understand how my son would have been feeling that day. He would have been scared to death. was shot dead in Edgware, north London, in 2005, in a swoop by armed officers who thought that he and two other men were ready to stage a heist on Colombian drug dealers.The marksman who killed him, known only as E7, opened fire within a second of coming to a halt beside the trio’s Golf, hitting Mr Rodney six times, once each in the arm and back, and, fatally, four times in the head. A public inquiry found that the officer had ‘no lawful justification’ for shooting Mr Rodney, and ‘could not rationally have believed’ that the 24-year-old had picked up a gun before he was shot. E7 has since embarked on a legal challenge of the inquiry’s findings. fatal shooting was one of Scotland Yard’s darkest chapters. The innocent Brazilian was gunned down by firearms officers at Stockwell Underground station on July 22, 2005, after he was mistaken for failed suicide bomber Hussain Osman. At the inquest into Mr Menezes’s death in 2008, coroner Sir Michael Wright ruled out a verdict of unlawful killing, but jurors returned an open verdict and rejected police accounts of the shooting, including a claim by an officer identified as C12 that he had shouted ‘armed police’ before opening fire. was shot dead by officers from Greater Manchester Police after his car was stopped as part of a planned operation in Culcheth, Cheshire, in March 2012. It later emerged that the unarmed father-of-two had earlier been wrongly suspected of stealing a memory stick containing the names of police informants. The Mail on Sunday reported that he and two associates were put under surveillance in an operation involving nearly 100 officers, and that armed teams were briefed that he might open fire at police, despite there being no evidence of him having access to weapons. from Hackney, east London, was shot in the head and hand on September 22 1999 after a table leg he was carrying in a bag was mistaken for a sawn-off shotgun. Two police officers arrived on the scene after a caller mistakenly tipped them off that 46-year-old Mr Stanley was carrying a sawn-off shotgun in the bag. Criminal charges and disciplinary action were both ruled out against the pair, Inspector Neil Sharman and Pc Kevin Fagan, despite the IPCC finding that their accounts of the painter decorator’s death ‘lacked credibility’. a high-flying barrister, was killed when he pointed his shotgun at officers at his home in Chelsea, west London, after a drinking binge in May 2008. Four officers may have fired the bullets that caused him fatal injuries as he stood at the kitchen window of his home in Markham Square. A two-and-a-half week inquest into the 32-year-old’s death found that he was lawfully shot, but there was controversy when claims were made that one marksman, known as AZ8, had inserted song titles into his evidence at the inquest. 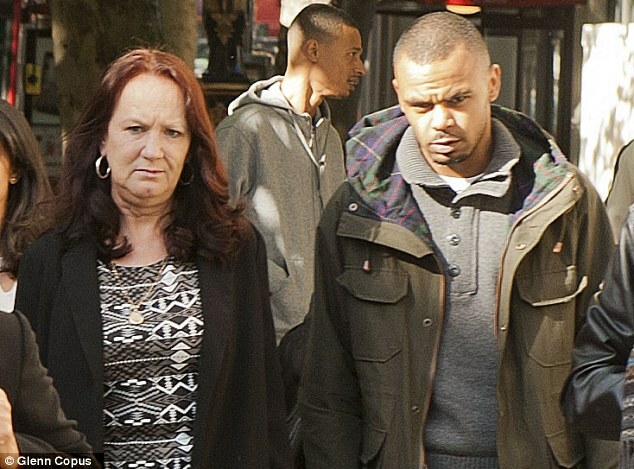 Mark Duggan’s mother said, ‘I don’t know how you can just come out of your station and just pull that trigger twice. That’s my son, that’s a life, that’s left six children behind.’ Mr Duggan’s family are planning to sue Scotland Yard over his death. His mother blames the force for robbing her of two loved ones – Mark and his father Bruno Hall, who died from cancer 11 months after the shooting. Mrs Duggan herself has also seen her cancer return as the family endured the three-month inquest. ‘I’m fighting cancer again so I’ve not been able to go to court,’ she said. ‘I had cancer, and then it went, I had a big operation and it went. When I went back for my check-up they found another lump in my neck.’ She believes that stress led Mr Hall to lose his fight with the illness. ‘When Mark died, he couldn’t believe it. He said “no, not my son”. He kept looking at the picture of Mark on the wall. ‘In the end he was going for tests and they said “the cancer’s gone too far now”. It was the stress of Mark, because he kept saying “all I want is justice for my son”. ‘Really what they’ve done is taken two people away that I loved dearly, they killed Mark and you might say they killed his dad. In two years I had to bury two people.’ On the day that Mark was shot in 2011, at first she could not accept the news that her son had died. His then-girlfriend came to her house to ask for his birth certificate, so that she could prove to police that she knew him. Mrs Duggan explained: ‘I said “I don’t believe it”, because no police came to my house. ‘Then it came on the news that a 29-year-old Asian man had been shot. I was thinking it must be a mistake, because Mark is mixed-race he’s not Asian. I wouldn’t believe it. ‘In the end they had to get the doctor out because I couldn’t take it. The doctor put me on valium, but I still couldn’t cope with Mark’s death. I kept saying ‘Mark’s going to come here soon’, and I thought I was losing my mind. ‘Eventually when it did come to life was when Marlon went to see Mark in the chapel of rest, and he said: “It is Mark, Mum”. And that’s when I knew it was true.’ Mrs Duggan said her grandchildren and sister Carole have kept her going in the family’s fight to get to the truth, as well as memories of Mark and a few close friends. Armed police are to be given body-worn video cameras to try and restore public trust following the disputed evidence surrounding the shooting of gangster Mark Duggan. Scotland Yard warned fighting gun crime will always carry the risk that innocent people could be shot and killed. Senior officers said that the public needed to be aware of the risks that come with police efforts to stamp out gun crime. He added there was unease among police ranks that the public are ill informed of how armed police operations work to keep them safe – and the undeniable risks that come with police carrying guns. He said: ‘I don’t think the public awareness is anywhere near what it needs to be. ‘Our tactics that we use in the less visible parts of policing, the less frequent parts of policing – so taking on gun crime – most people have no experience of. ‘If it’s armed robbers or gang members, the public have no experience of the police response and tactics and we would like to improve that.’ He stressed that armed units were a highly trained element of a largely unarmed police force, which are deployed in limited circumstances to minimise risk to the public. By making armed officers undergo strenuous training it helps them make the split-second decisions to shoot or not in a way that best protects themselves and the public. He said: ‘We are one of the few jurisdictions in the world where we don’t have a routinely armed police force. ‘That enables us to have amongst the highest-trained firearms officers in the world. ‘Part of that is improving that ability, so that immensely precious situation when you are going into a situation and somebody may have a weapon, how can you be as good as possible at making the right decisions. ‘They face a situation and then they are making split-second decision, I think its important that wen we look back at split-second decisions we should set high standards in terms of our expectations and the highest levels of scrutiny. ‘As long as that scrutiny stays on the right side of fair and tough scrutiny and doesn’t become unreasonable hindsight when you get the benefit of months or years of thinking of analysis then that scrutiny is entirely fair. ‘ The decision to kit armed police with the type of recording equipment that would allow their actions to be scrutinised came after conflicting evidence was heard during the inquest. Firearm officers said they believed Duggan was drawing a gun to point at them when they opened fire. However eyewitnesses suggested Duggan had a mobile phone in his hand when he was shot and may had been surrendering. The availability of video evidence from the killing of soldier Lee Rigby showed how useful film can be, while catching events on camera could help ‘maintain people’s confidence’ in the police. AC Rowley said: ‘We’ve reflected on other opportunities to try and provide greater transparency around firearms operations. ‘It does strike us that there are great benefits to having these incidents on video. ‘You look at the Lee Rigby case and everyone knows what happened. ‘Then we don’t need all these different opinions and conjecture about what did or didn’t happen. ‘If you have it on video then it’s much easier to get to the facts and resolve matters much more successfully.’ He revealed the plans at a pre-verdict briefing with the Met’s armed policing head, Commander Neil Basu. Few police operations have sparked the sort of public reaction which followed the death of Mark Duggan. Here is the chain of events that resulted after the shooting. 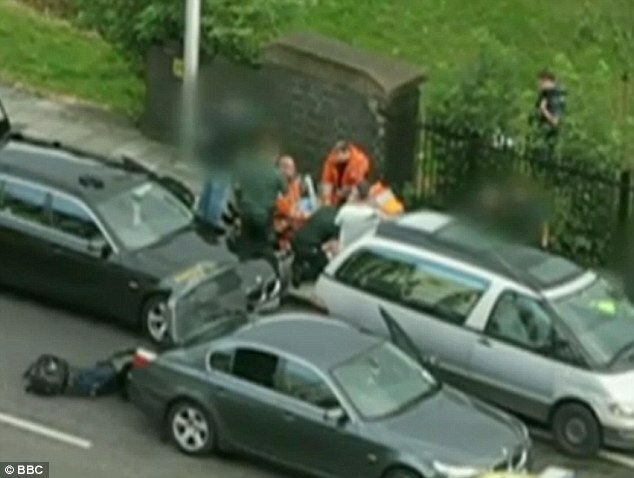 August 4, 2011 – A passenger in a minicab is shot dead by police in north London after an apparent exchange of fire. He is later named as 29-year-old Mark Duggan, a father of four. 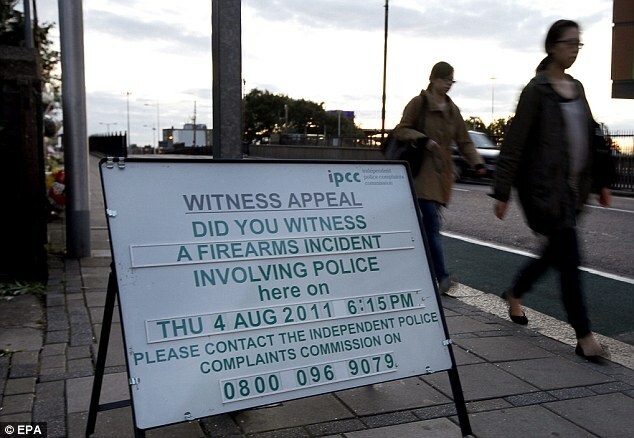 August 5 – The Independent Police Complaints Commission (IPCC) appeals for witnesses after it says it believes the two shots were fired by police. It is confirmed a non-police issue gun was found at the scene. August 6 – Two police patrol cars are attacked as more than 100 people march through Tottenham demanding ‘justice’ over Mr Duggan’s death. Officers are forced to make road closures. August 7 – People are injured and scores of buildings damaged as riots break out in London. Shops are trashed and looted and buses set alight as tensions escalate – the action is condemned by politicians. August 8 – Riots, originally said to have been rooted in anger over Mr Duggan’s death, become a symbol of resistance against police and authority as the violence spreads to other UK cities. Hundreds are arrested. Metropolitan Police deputy assistant commissioner Stephen Kavanagh apologises to Mr Duggan’s family for not meeting their needs better in the wake of his death. His fiancee says Mr Duggan is ‘not a gangster’. August 9 – The inquest into Mr Duggan’s death is opened and adjourned. It hears he died of a single gunshot wound to the chest. The Football Association announces that England’s friendly against Holland at Wembley Stadium the following day has been called off. August 10 – Prime Minister David Cameron chairs another meeting of the Government’s emergency Cobra committee to discuss the continuing unrest that has devastated communities. August 11 – Parliament is recalled to discuss the emergency. The weekend’s Premier League curtain-raiser between Tottenham and Everton is called off over concerns about the riots, although the disorder is beginning to calm. August 12 – The police watchdog admits it may have wrongly led journalists to believe that police shooting victim Mr Duggan fired at officers before he was killed. September 7 – Members of Mr Duggan’s family criticise police for having a ‘shoot to kill’ policy, stating they should “disable, not kill suspects”. 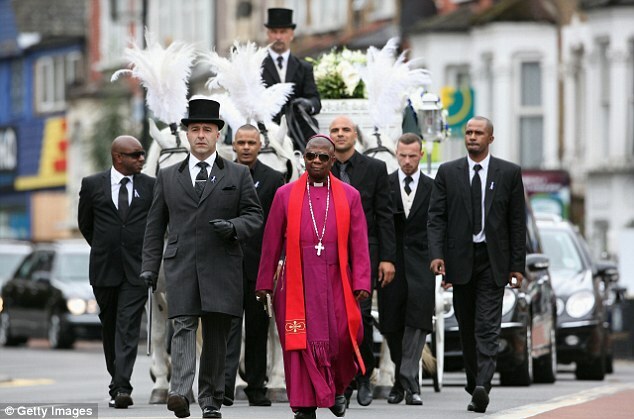 September 9 – Mr Duggan’s private funeral takes place after passing through north London’s Broadwater Farm estate. September 15 – Omari Stewart, 17, from the area of north London which sparked a wave of summer rioting, tells ministers that Britain’s youth felt the Government had “given up on us”. 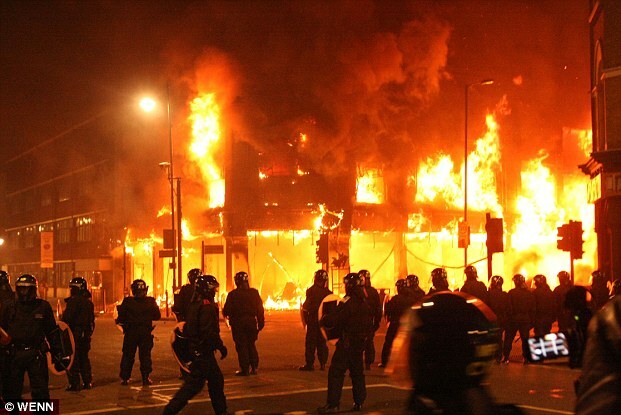 October 24 – The Metropolitan Police admit they did not have enough officers available on the first night of the August riots, and reinforcements took too long to arrive. 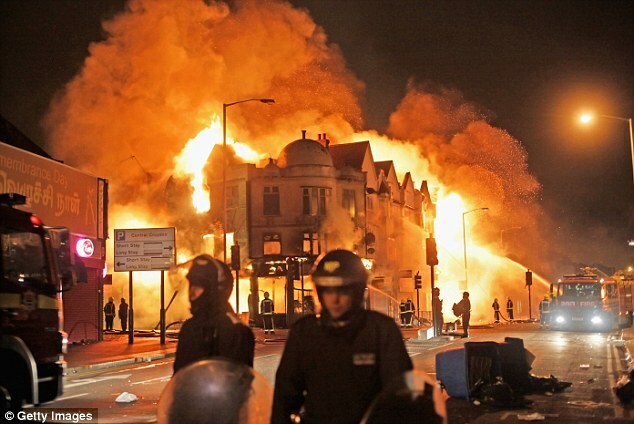 November 8 – Mr Cameron appears to soften earlier criticisms of the police response to the summer riots. While he said initially there were not enough officers on the streets, he later stresses that the police had faced an ‘extremely difficult situation’ and it was not necessary to apportion blame. November 18 – The IPCC announces it is to review a Scotland Yard probe into an alleged assault involving a gun believed to have been the one recovered from the scene of the Duggan shooting. November 20 – The Guardian newspaper reports there was no forensic evidence that Mr Duggan was carrying a gun at the time of the shooting – the IPCC later responds to ‘irresponsible inaccuracies’ undermining the police investigation. December 12 – The lead investigator for the police watchdog inquiry into the fatal shooting tells a pre-inquest hearing that a ‘mistake’ was made in releasing information that Mr Duggan had fired at officers first. February 29, 2012 – It is revealed that the Metropolitan Police apologised to Mr Duggan’s family for failing to inform them of his death. The IPCC also apologises. March 26 – The IPCC says an inquest could be impossible because of ‘disclosure issues’ surrounding police evidence, suggesting a behind-closed-doors inquiry instead. April 27 – New amateur footage emerges on the BBC of the aftermath of the police shooting. July 7 – Bruno Hall, Mr Duggan’s father, dies after a battle with cancer. His family later say he ‘gave up’ his fight because he was overwhelmed with grief. August 5 – A service is held to mark a year and a day since Mr Duggan’s death. September 18 – The trial starts of Kevin Hutchinson-Foster, who is accused of ‘selling or transferring a prohibited firearm’ to Mr Duggan. It is alleged a handgun was passed to Mr Duggan just 15 minutes before he was shot dead by armed police. The court is told Mr Duggan had a loaded gun in his hand when he was shot, and later hears he had been trying to set up a drugs deal. October 17 – A retrial is ordered after the jury fails to reach a verdict in the case of Hutchinson-Foster. October 23 – Coroner Andrew Walker decides the inquest into Mr Duggan’s death will go ahead on January 28, with the family calling for ‘the truth’ to come out about the fatal incident. January 8, 2013 – Retrial of Hutchinson-Foster begins at the Old Bailey. He is later convicted. February 26 – Drug dealer Hutchinson-Foster is jailed for 11 years. July 15 – An anonymous letter surfaces, referring to a gun in the Duggan case, a pre-inquest hearing is told. August 21 – Tottenham mayor Sheila Peacock apologises after she said 2011’s riots were ‘the best thing that’s happened’ in her community for a while. She later apologises and said the comments related to the way the Government responded to the problem by injecting money into the area. September 16 – The Duggan inquest opens, with jurors being told they are on a ‘quest to find the truth’. It is scheduled to last up to 10 weeks. September 17 – The police marksman who shot Mr Duggan claimed he acted in self-defence because he thought Mr Duggan was brandishing a gun, the inquest is told. October 15 – A police marksman, known only as V53, describes the ‘freeze frame’ moment he confronted Mr Duggan and said he had an ‘honestly held’ belief that he would open fire on police. 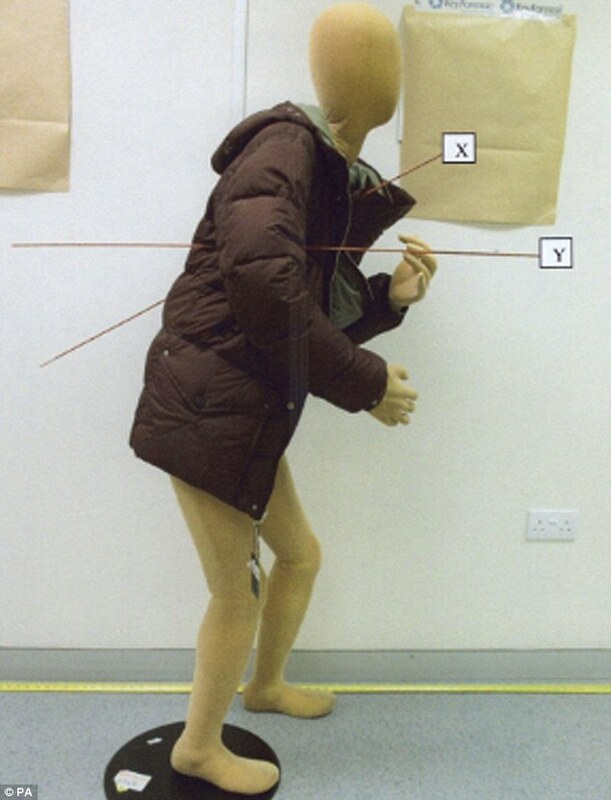 December 3 – A witness, giving evidence with his identity concealed, tells the inquest Mr Duggan was clutching a mobile phone when he was shot dead by armed police. December 11 – Members of the inquest jury retire to consider the ruling. 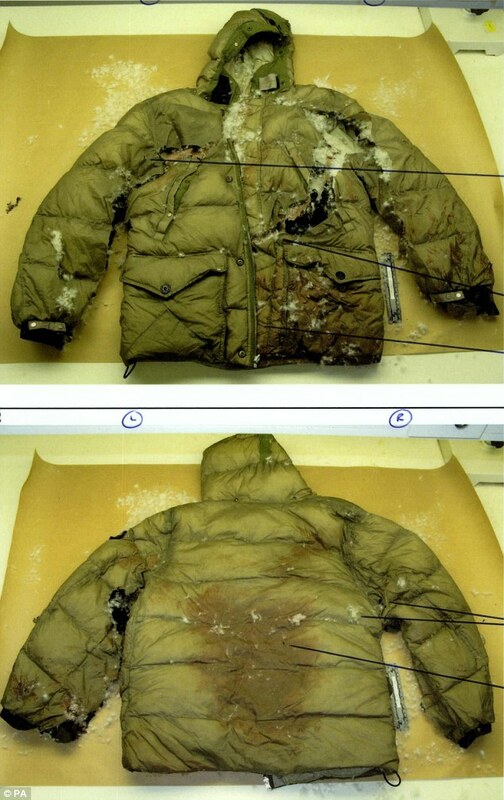 January 8, 2014 – Jurors return a verdict. UK defend Saudi Arabia executions? Posted on 8th January 2014 by newsafrica. This entry was posted in Africa, Breaking News, Democracy, Human Equality, London, Race Relations, United Kingdom and tagged Death of Mark Duggan, Duggan, Inquest, London, Mark Duggan, Police, Scotland Yard, Tottenham. Bookmark the permalink.